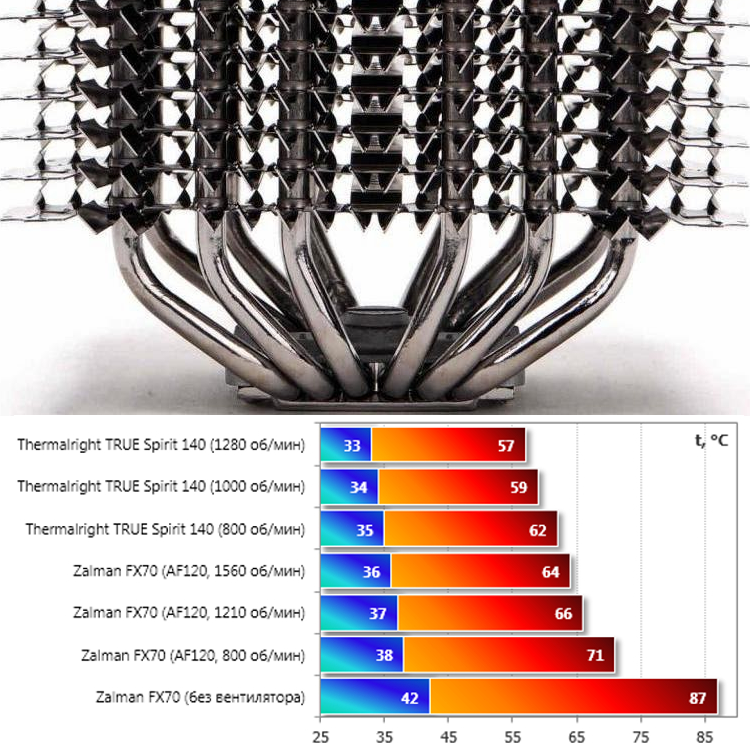 Despite its recommended TDP limit, Zalman FX70 CPU cooler manages to keep an i7-3970X Extreme Edition (150W TDP) at acceptable temperatures. Proving that after an half-baked FX-100, Zalman is definitely back in the game. For best results, make sure to use a sub-80W CPU anyway, with mesh at the bottom, on the side panel, and mostly on top of your case.